Sandra Bowden lives in Chatham, Massachusetts, and exhibits throughout the country. 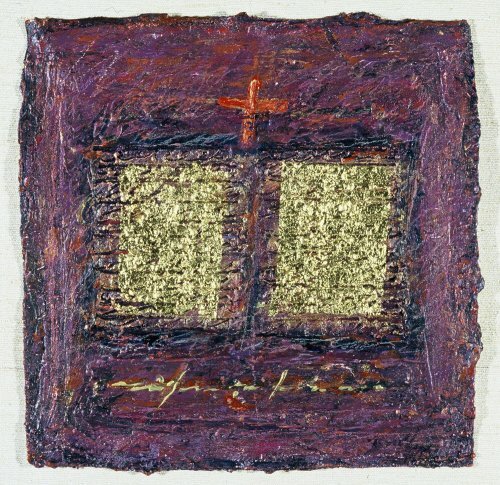 She has been president of Christians in the Visual Arts (CIVA) from its inception, and says "My life has been dramatically impacted by the example of other Christian artists. The depth and insights of other mature thinkers, writers, and friends has added in innumerable ways to my growth and development." 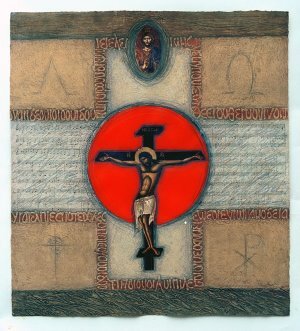 Bowden's art is a complex meditation on time, incorporating biblical and archaeological references, elements of language and text, inscribed artifacts, pages from antique Bibles, and musical scores and facsimiles. Long fascinated by "word as image," she finds a source of mystery and personal iconography in the evolution of words and ideas made visible, recorded and presented historically in various ways. The result has been several series exploring and celebrating the gift of word. "This thing we call language has afforded us the opportunity to share the mind of another person across barriers of time and place." View Sandra's work at www.sandrabowden.com or www.civa.org. 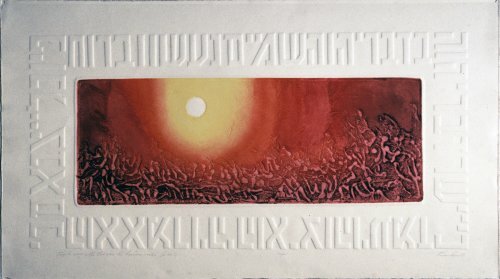 By the Word of the Lord Were the Heavens Made, 1980, by Sandra Bowden. 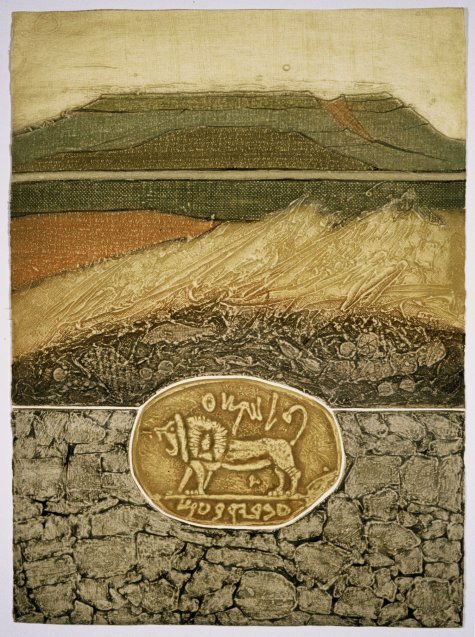 Collagraph with embossing, 7.75" x 21". Seven Last Words, 1990, by Sandra Bowden. 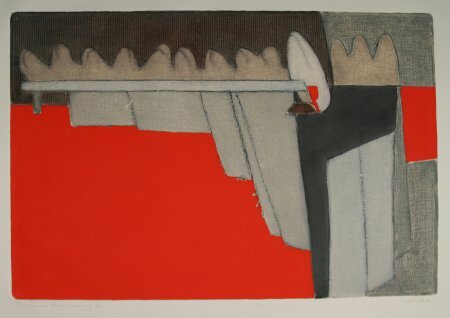 Collagraph mixed media, 20" x 20".